ThisSongIsSick.com got a hold of this picture which apparently is an ad of the lineup that got ran a full week and a half before the planned announcement. With the Cure, Mumford & Sons, NIN, the Killers, Phoenix, Vampire Weekend, The National, Lana Del Ray, Haim, Jessie Ware, Palma Violets, and many, many more artists, it looks like Lolla wins this year’s festival line-up battle. 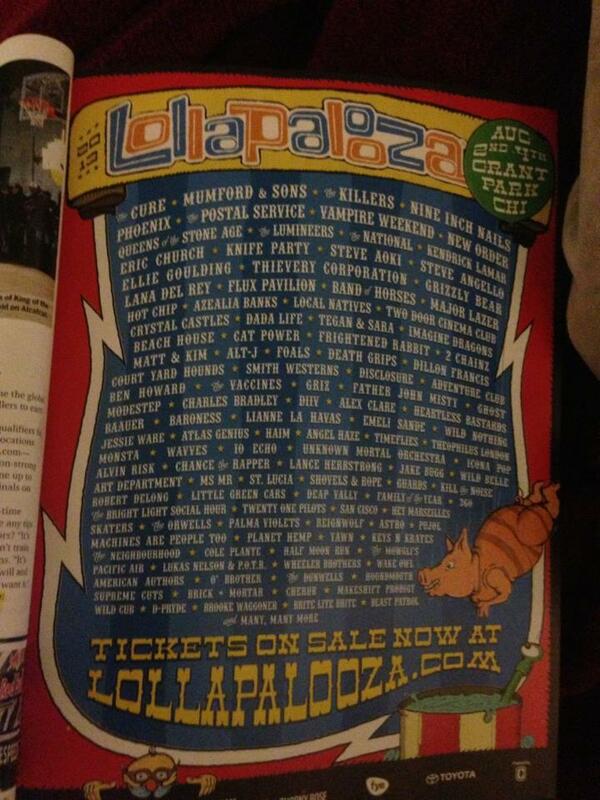 Lolla runs from August 2nd – 4th in Chicago.